Rishi Panchami is celebrated in honor of the great mythological sages (Sapta Rishis are the Atri, Vishvamitra, Kashyapa, Vashishta, Jamadagni, Gauthama and Bharadhvaja) who inspired people to discover their true self, which is also known a Brahma Gyan. Rishi Panchmi is on 20 september in 2012. 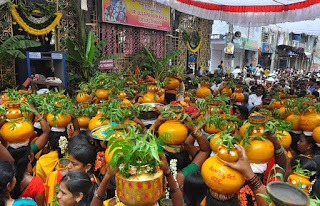 The festival is celebrated on the 5th day of the bright lunar half of the Bhadrapada month (August – September). It is celebrated on the next day of Ganesh chaturti. Rishi Panchmi is also celebrated as Bhai Panchami on that day sisters tie rakhi to their brothers hand and pray for their long life and prosperity and happiness in their life. The rakhi must be in Red, Yellow or Orange colour. Rishi Panchmi is also known as Rushi Panchmi. Rishi Panchami is not a festival but a fasting day observed by women. Hinduism gives highest priority to purity and there are strict guidelines to maintain purity of the body and the soul. Rishi Panchami fasting is advised to get rid of Rajaswala Dosha. Rishi Panchami is more famous in Nepali Hindus. This Vrat is especially for the women, however, there is no distinction between men and women in the eyes of the Rishis. On the auspious day of Rishi Panchami, a ritual bath is taken in holy rivers, ponds. Nowdays we dont find rivers so we can take bath in home with cold water. Then Hands and mouth is washed 108 times. Lord Ganesh, Navagraha, Sapta Rishis and Arundathi are worshipped. Women offer the Prasadam to Gods and wash husbands feet. In fasting Eat fruit only one time in the day. 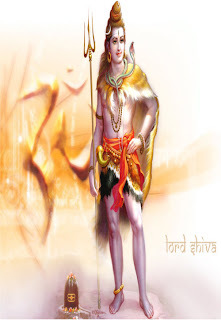 The fasting is dedicated to Lord Shiva and is also undertaken by men in some regions. In morning they do Bhai Panchami puja. They make Seven brothers with seven small sticks and white cloth and a white thread to tie clothes to the stcks. And then they make one sister with a small stick and a red cloth and moli to tie it. The tradition of observing this Vrata, is to express respect, gratitude and remembrance of the great deeds of those ancient Rishis, who devoted their life for the welfare of the society. Rishi Panchami fast was the one such by virtue of which all sins are washed away.